As tumbleweeds roll across the ghost town that has become Asia’s equity capital markets, block trades have become a way to keep bankers busy. Though they may not be big money makers, they can offer a quick boost to league table rankings, particularly when IPO markets are moribund. But as Carlyle’s recent sale of a $720 million stake in China Pacific Insurance suggests, they can also be something of a winner’s curse. Banks are between a rock and a hard place. Sellers have become more demanding as they know banks are desperate for business. Investors, though, are cautious in the weak market. To wit, on July 20 Bank of America and Credit Suisse offered 220 million of China Pacific’s Hong Kong-traded shares at a discount of from 3.3 percent to 5.2 percent. Those they did sell went at the bottom of the range. The stock tumbled a tenth the next day and is still down 7 percent. The two banks won’t say how much they sold of the block, but traders say they were likely stuck with 20 percent to 40 percent of the deal. True, some of the exposure could have been hedged. And the banks don’t have to sell the stock immediately. But they won’t want to be stuck holding the inventory for long. Assuming they had to mark 30 percent of the shares at a price 3 percent lower than what they paid Carlyle, the pair would be looking at a loss of about $6 million. That’s not a huge amount for the big Swiss and American banks, but every little bit hurts in a lackluster year. Competition has become particularly cut-throat in Asian equity capital markets as the China IPO engine has sputtered. That a $3 billion Malaysian stock offering can top the list of deals in Asia in the first half underscores the significance of the downturn. So, too, does US broker Piper Jaffray’s retreat from Hong Kong this week. Yet block trades can be a double-edged sword. Sure, they can be done in a jiffy. And they offer bragging rights, making them particularly attractive to firms eager to stay at the top of the league tables. But by exposing their own balance sheets in volatile markets, winner’s curse will be a difficult outcome to avoid. U.S. private equity fund Carlyle Group raised about $720 million from the sale of a stake in China Pacific Insurance Group, according to Reuters IFR. Bank of America Merrill Lynch and Credit Suisse acted as joint bookrunners on the deal. 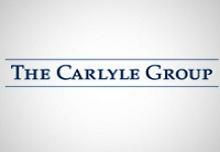 Carlyle sold 220 million Hong Kong-traded shares of China’s third-largest insurer, at HK$25.5 each. Shares were offered at an indicative range of HK$25.50-$26.00, or a discount of 3.3 percent to 5.2 percent discount to July 20’s close of HK$26.9. Shares of China Pacific Life tumbled by 10 percent to close at HK$24.2 on July 23. The stock has recovered to finish at HK$24.95 on July 26.